The transition to a co-operative economy has been building slowly since the start of the Rojava Revolution. Having been built up from nothing, the co-operative economy now makes up about 7% of the economy of Jazira – the largest of three regions that make up the Democratic Federation of Northern Syria (DFNS). 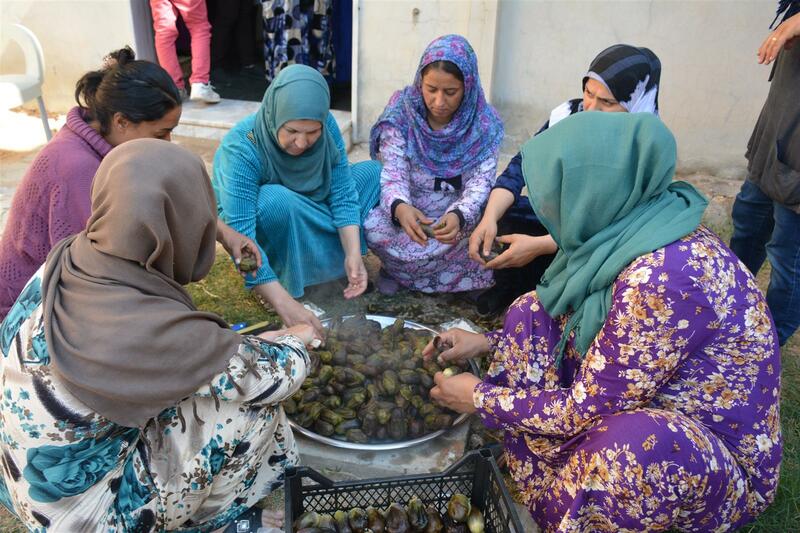 3% of Jazira’s economy is now based on autonomous women’s co-operatives – an astounding feat. We, as part of the co-operative and solidarity economy movements in the UK, are aiming to build real solidarity and relationships between co-operative movements both here and in the DFNS. We believe that only by developing their economy can this movement survive and thrive, and that we, as fellow co-operators, are well placed to support in this way – movement to movement, and co-op to co-op. Co-operation in Mesopotamia is a project from the Solidarity Economy Association. Solidarity Economy Association Ltd. Is a not-for-profit, multi-stakeholder co-operative company limited by guarantee. It is registered under the Companies Act 2006 in England and Wales. Registered number 10733713. Registered address: Makespace Oxford, 1 Aristotle Lane, Oxford, OX2 6TP.